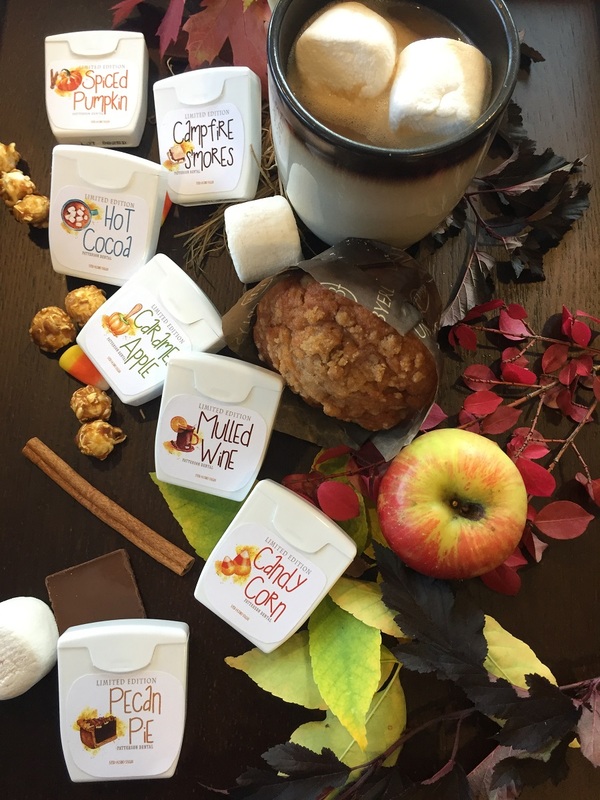 Warm pumpkin spice, tart caramel apples, gooey pecan pie…these are the iconic flavors and smells of fall. We know they make for tasty treats, delightful drinks, and comforting candles, but how would they fare if they were turned into dental floss flavors? We said see ya later 👋 to mundane mint and humdrum bubblegum, and dreamed up these 7 must-have fall floss flavors. Starbucks has turned #PSL (pumpkin spice lattes) into a pop culture phenomenon, so we felt confident there was a market hungry for #PSF. 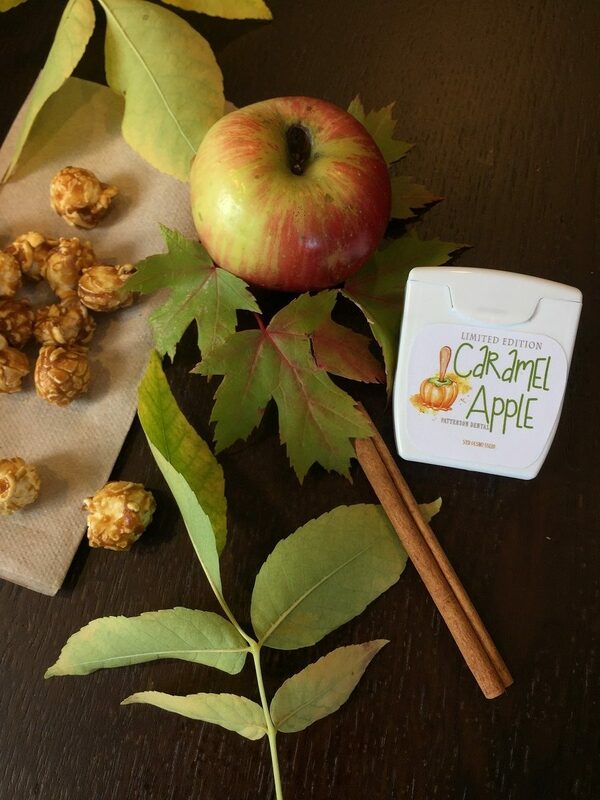 This classic flavor is the perfect take-home item to offer your patients throughout the autumn months. Pecan pie is one of the most delicious desserts in existence, but it is also one of the most sugary. This made-from-scratch flavor offers a way to get your fix without an ounce of added guilt. 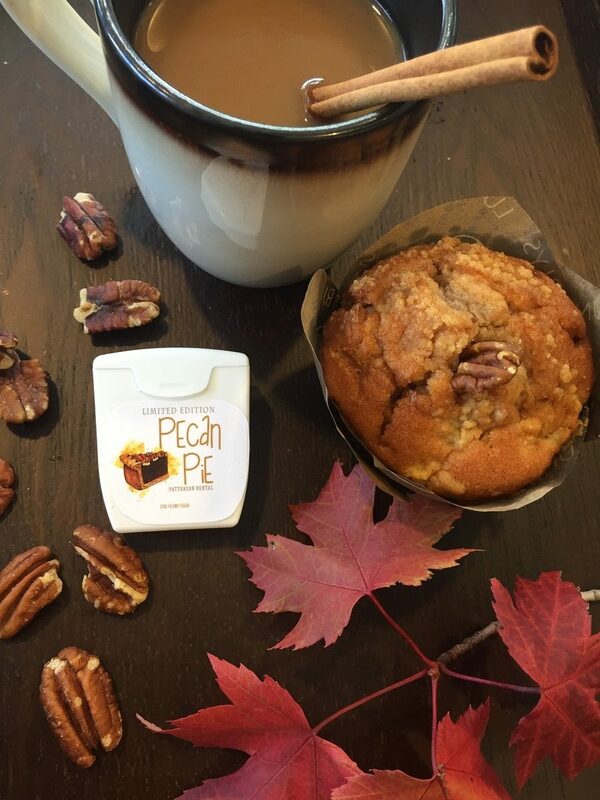 For a limited time only, buy one pecan pie flavored floss and get one whipped cream flavored floss free! Use in tandem to get the full effect. 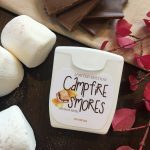 Notes of chocolate, marshmallow, and graham cracker, all shine through in these 5 yards of waxed s’mores flavored dental floss. 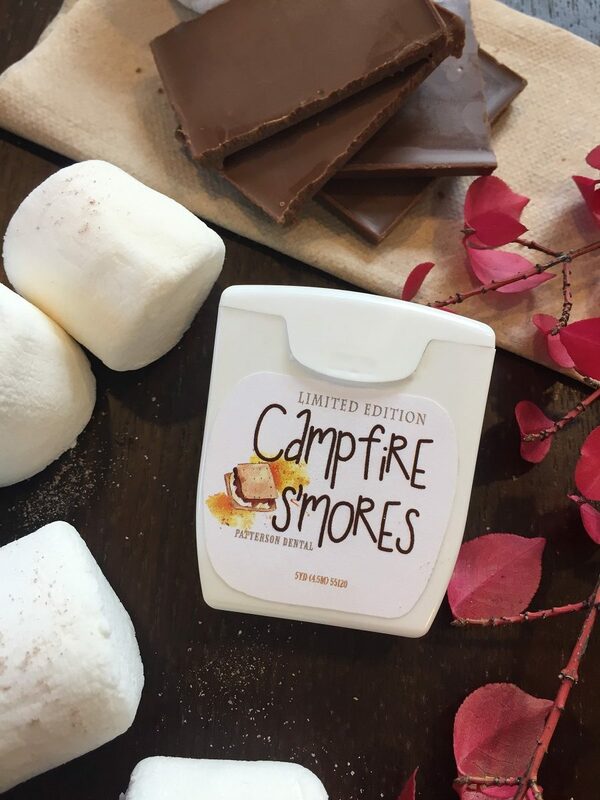 Customers say this flavor tastes best when used as a group, flossing around a campfire. *Ghost stories not included. Caramel apples are just one of those foods that love to get stuck in your teeth, and caramel apple floss was created to get it unstuck! Because we are unwavering in our commitment to high quality, responsibly sourced ingredients, the type of apple used to flavor this floss will vary by batch. We use whichever apple variety is locally in season. 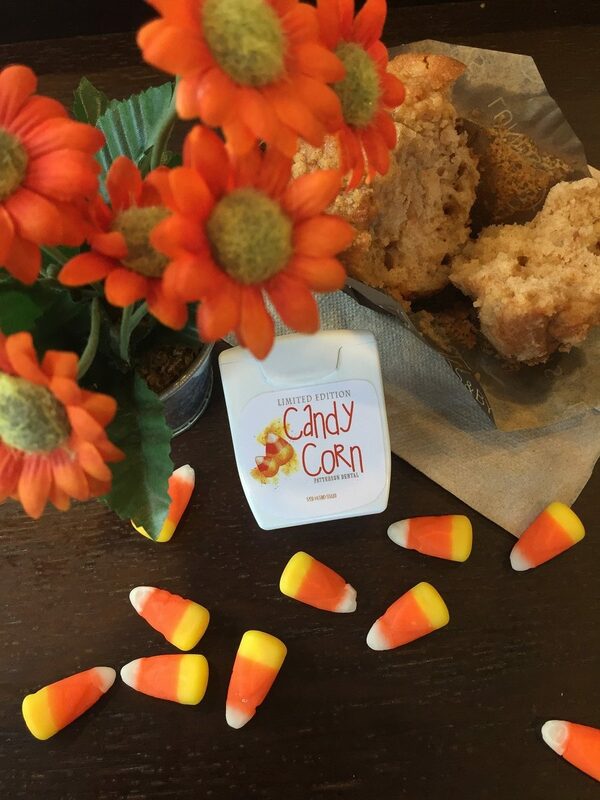 An instant classic, we believe this floss flavor will sell out quickly as dental professionals catch wind of it and stock up so that they can hand it out to neighborhood trick-or-treaters. As candy corn floss is both a trick and a treat, we’re having trouble categorizing this particular flavor on our website. 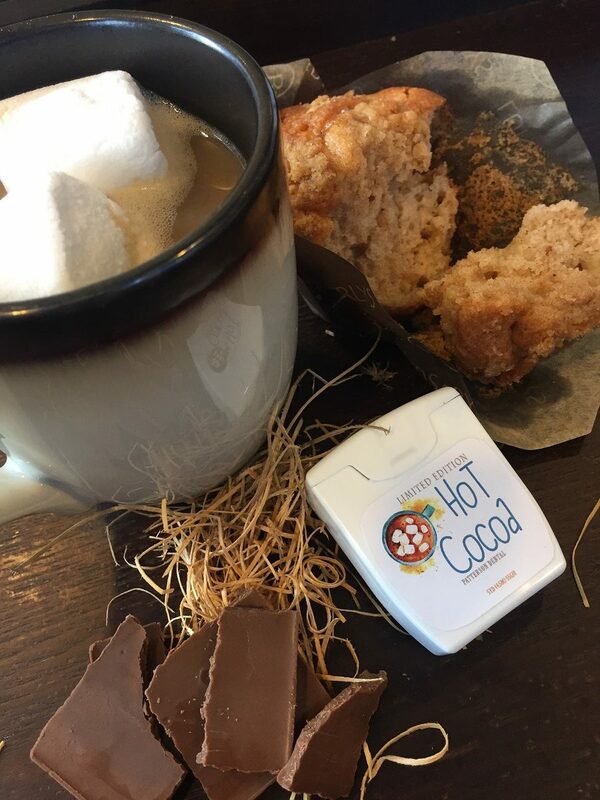 Our product developers worked tirelessly to perfect the patent pending warming sensation that occurs while using this hot cocoa flavored dental floss. We heard our focus groups loud and clear when they told us that “room temperature cocoa” floss didn’t have the same appeal. 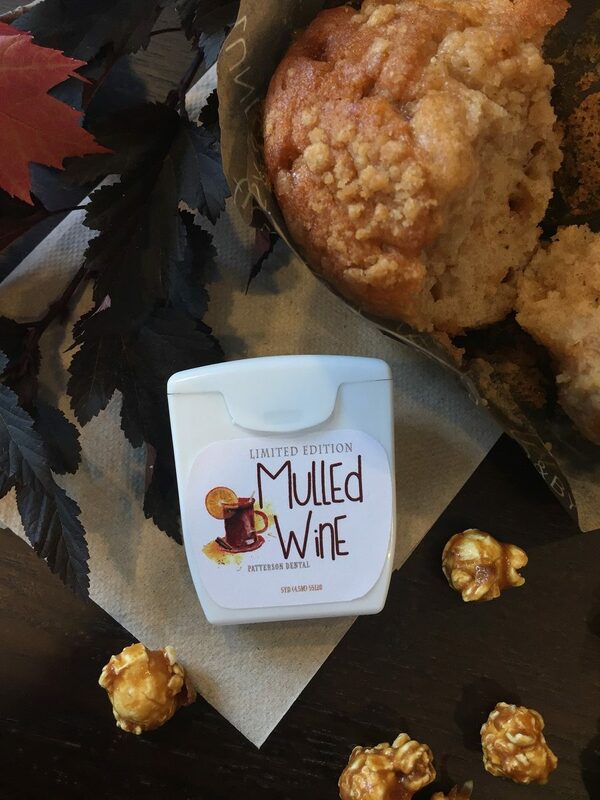 Honey, cinnamon, clove, and orange zest are all carefully steeped with a California Cabernet Sauvignon to create this mulled wine flavored dental floss. As it does contain a small amount of alcohol by volume, valid ID must be presented at time of purchase. We will not be held legally responsible if this floss finds its way into the mouths of curious minors. 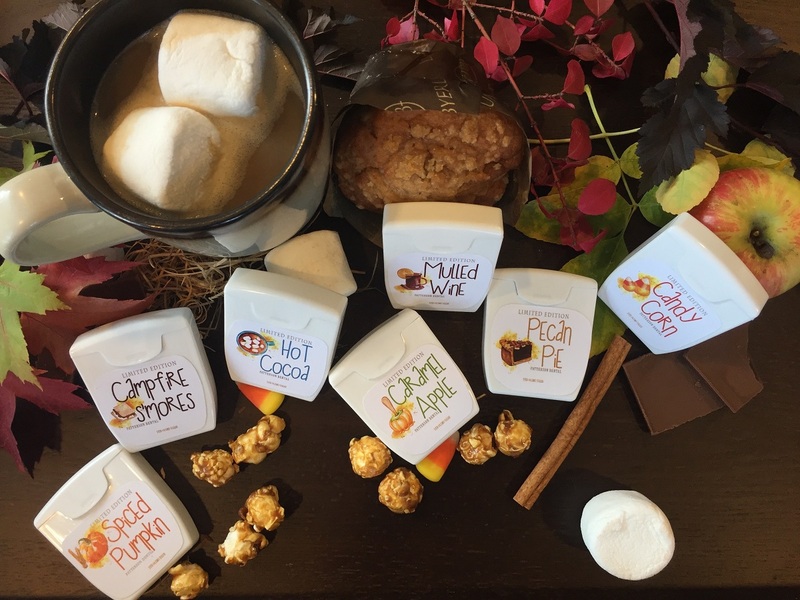 As we believe these fall floss flavors would make a wonderful host/hostess gift for any of your upcoming seasonal soirees, we offer complimentary gift wrapping to those customers who purchase at least one unit of all 7 varieties. Okay okay, we’ve had FAR too much fun pretending these floss flavors are real. Patterson doesn’t currently have plans to manufacture this collection, but hey – who’s to say what the future holds! Would you floss your teeth with any of these flavors? 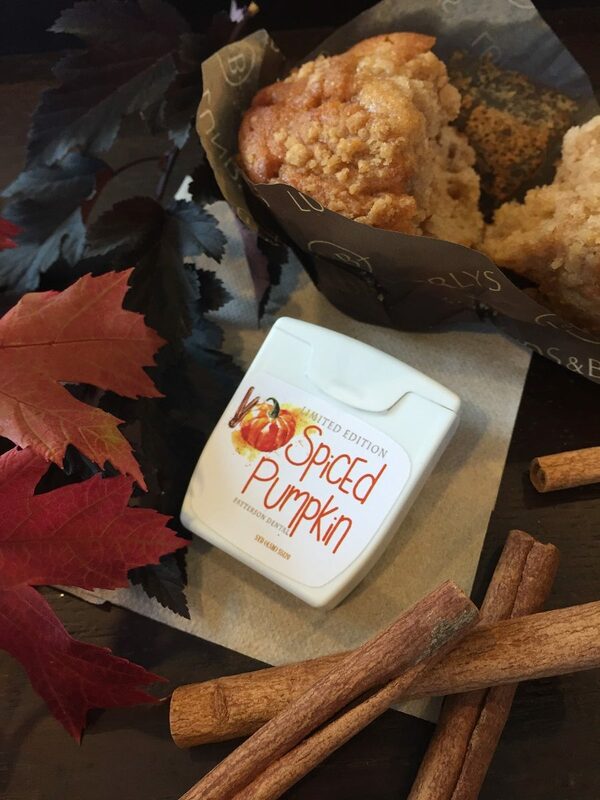 What fall floss flavors do YOU most wish existed? Let us know in the comments below, and might we suggest trying to trick your friends and colleagues by sharing this video? This sounds cool, would love to buy, but not available on your website. I need these for my office, how do I get these…do I order through patterson ? How can I get samples of these? I NEED to try these! I am dental hygienist and would love to get some samples. Thanks! Pumpkin Foul! I was ready to order. I’m quite disappointed. I have clicked on the link you provided, looked all over the Patterson Website and cannot find these flavored flosses. Can you help me to find them? I would like to order for trick n treaters as well as my office. How do i order? To bad…..our office was ready to purchase some for the holidays. Please get on the ball! That’s a terrible joke to play on us and I do hope with ALL of the people that got excited about it you will have them ready for next year! Thought this was a real email for real products. Would have been a fun give away for our patients. Fun for you, bummer for us. No one likes to be teased….. I was going to purchase these for an upcoming women’s event and I was very disappointed to see that they are not actually available, why would you do that? Perhaps Aleksandra should work for Lays Potato Chip since their flavors actually exist. What a waste of time and money this article is!!!!! Please spend your time developing new flavors. There obviously is an interest in seasonal items.